(MTV) -- Details from the tragic Jet Ski accident that left Kyle Glover, stepson to R&B superstar Usher Raymond, brain dead continue to emerge. The incident report, obtained by MTV News from the Georgia Department of Natural Resources, identified Jeffrey S. Hubbard as the vehicle's operator. According to the report, Hubbard was operating the watercraft in Atlanta's Lake Lanier when he ran over two juveniles being towed on an inner tube by another boat at approximately 3:25 p.m. ET on Friday. Both of the injured children were flown to Children's Healthcare of Atlanta at Egleston. While the incident report didn't identify any of the injured by name, it has been reported that 11-year-old Kyle Glover sustained a head injury and had been declared brain dead by doctors, but officials have declined to speak on his condition, citing privacy issues. The second victim, a 15-year-old girl, is said to have suffered a cut on the head and a broken arm. A media representative at Georgia's DNR told MTV News that Hubbard was no stranger to Glover and that he was a friend of the family. 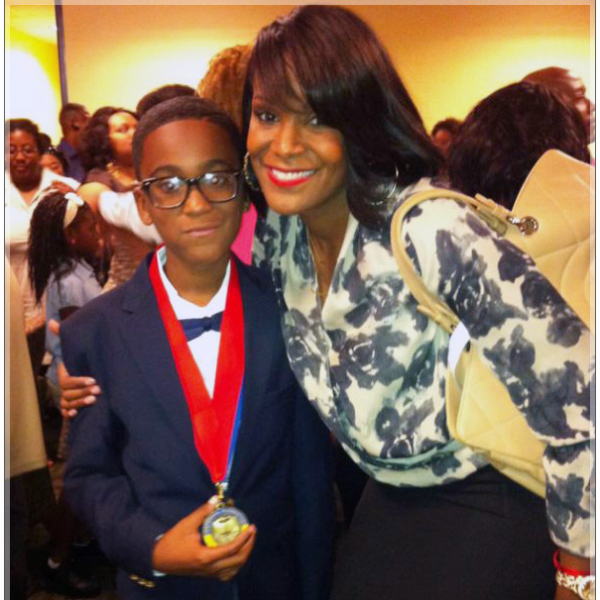 Glover's mother, Tameka Foster, spoke to RadarOnline, simply saying, "He's bad." According to the site, the distraught mom also took to her Facebook page to send this message: "Kyle, You are strong.. You'll be saved I know it. I love you my baby. I need all #Prayers for my son! thanks you everybody!"